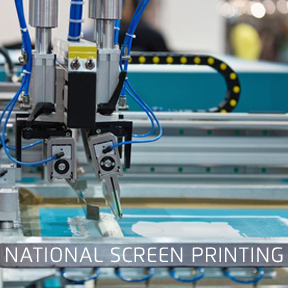 Does your national marketing campaign need a reliable screen printing company? HMS nation distributes quality screen printed t shirts, hoodies, zip ups and stickers to national events. Because our All In One Marketing campaign is so effective, we back everything we do with a 100% satisfaction guarantee. Whether you are looking to buy screen printed T shirts in the Pacific Northwest, East Coast, Mid West, Up North or Down South we are the best choice. Hart Heart Mind Soul and the HMS nation have been producing and distributing quality promotional items across the nation for twenty years. Contact us today and see how we can start driving sales to your business. Our HMS national approach leaves no area of the map unconnected. You can save both time and money when you choose to order marketing and promotional screen printed products from a national distributor. You can leave the shipping and screen printing logistics to a top 10 marketing company. Why not focus your attention as a business owner to the things that only you can do? When you hire a national marketing and screen printing company we handle the project from start to finish. That means you have more time for the things you love to do. How do I know that I am getting results from the HMS national marketing and screen printing campaign? Our monthly report is full of useful information and tips you can use to help grow your business. Trust me, with all of the logo design and corporate brand development we have done over 20 years, we have learned a few things. Yes, you can cut corners and go with a startup company who may give you a lower price. However, you will never find a better value for your money than when you choose Hart Mind Soul and the HMS nation for your national marketing and advertising projects. Plus, we have America’s Best Custom Screen Printed T shirts and stickers, hands down. HMS, hms nation, HMS national, HMS National Screen Printing, national, National Screen Printing. Bookmark.